It’s hard to describe the feeling you have standing on a mountain you just spent 3 1/2 hours hiking up. It is a strange combination of exhaustion and exhilaration. I couldn’t believe I just did it and also I couldn’t believe what I was looking at. It’s one of the most beautiful places in the world to stand. You can see for miles. Clouds are almost eye level. Yesterday I hiked up Mt. 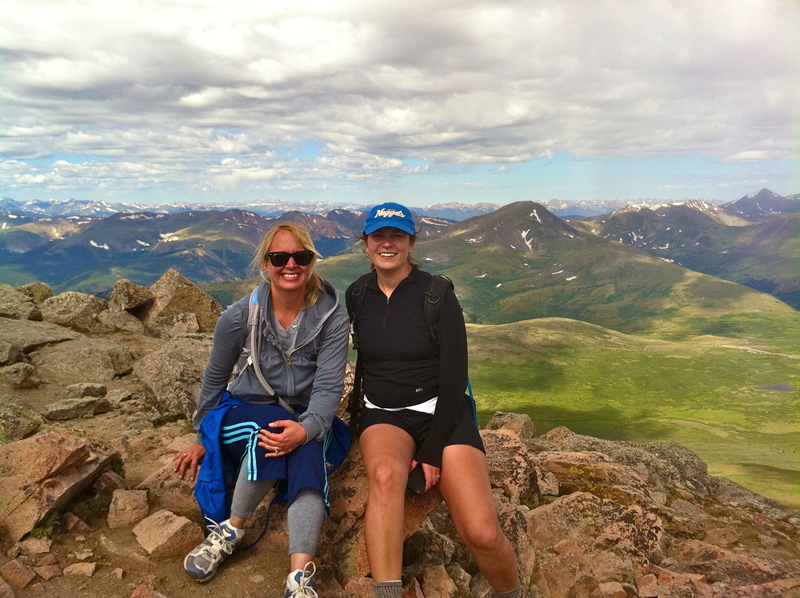 Bierstadt with my friend Alicia. 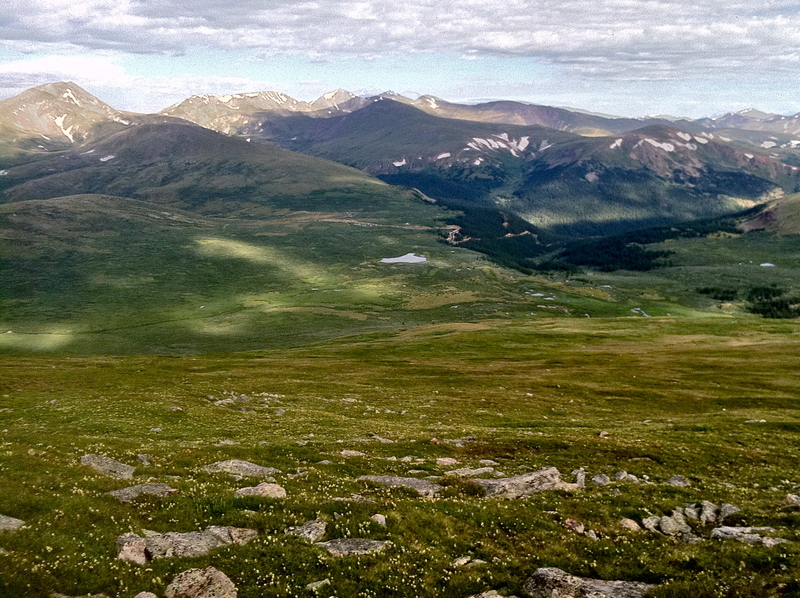 To put it in perspective at 14,060 ft high it is just about 400 ft shy of Mt. Whitney, the tallest peak in the continental US. For you East Coasters, it is more than twice as high as Mt. Mitchell (6,684). 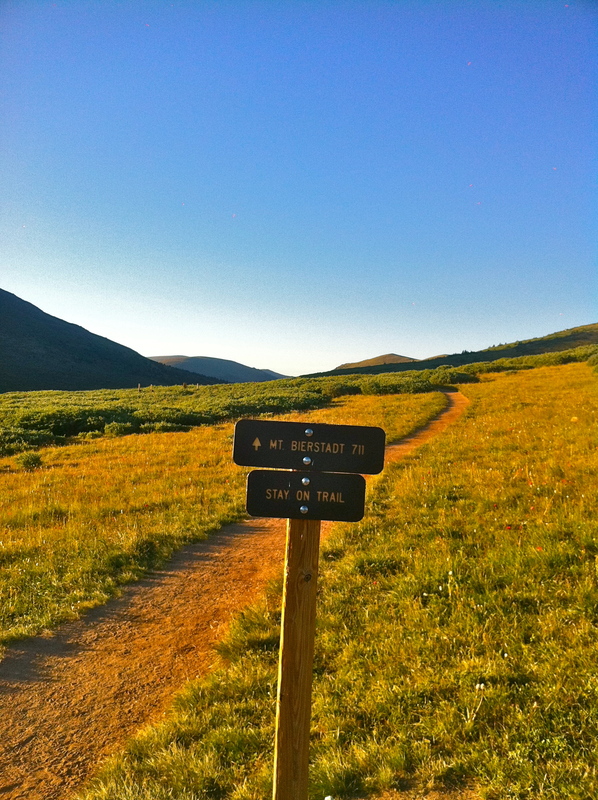 The trailhead itself starts at 11,669 ft which is about 400 ft higher than Mt. Hood in Oregon. 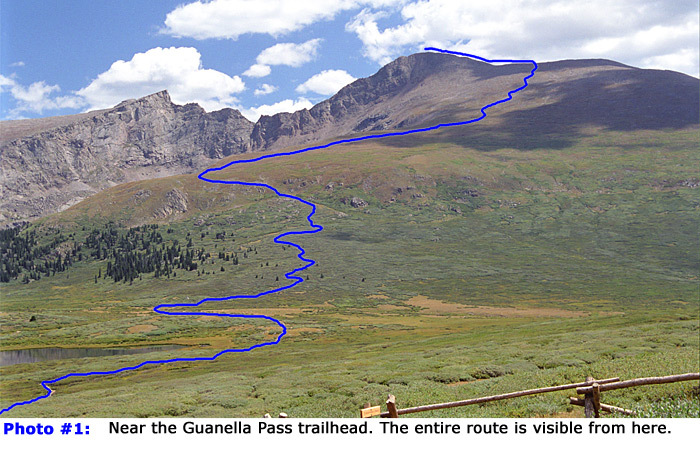 So basically, while it’s one of the “easiest” Fourteeners to hike in Colorado, it’s no joke. 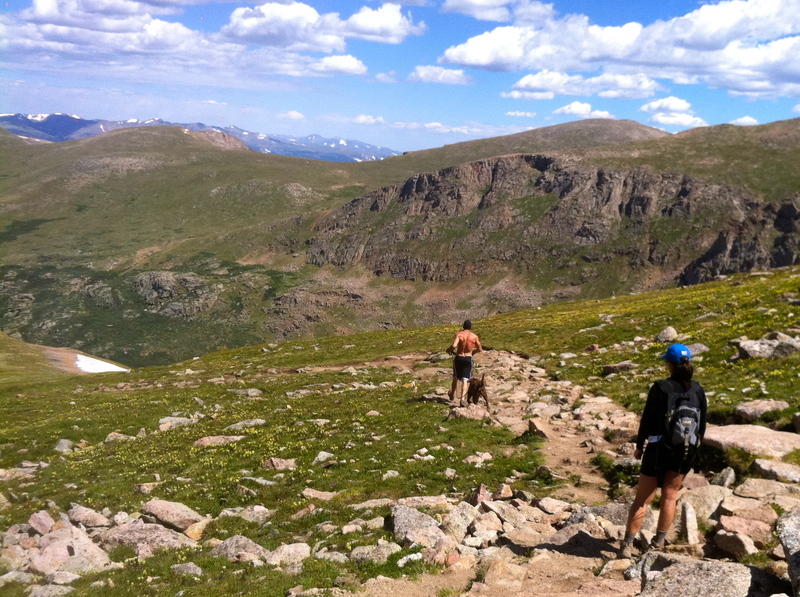 At a little over an hour away from Boulder, we were on the trail by 7. For those of you who don’t know me, it’s an equally significant feat that I was even able to wake up at 4:30 much less hike up a 14,000 ft mountain. The trail starts through a field of willows and even at 42 degrees it was a pretty gorgeous morning. 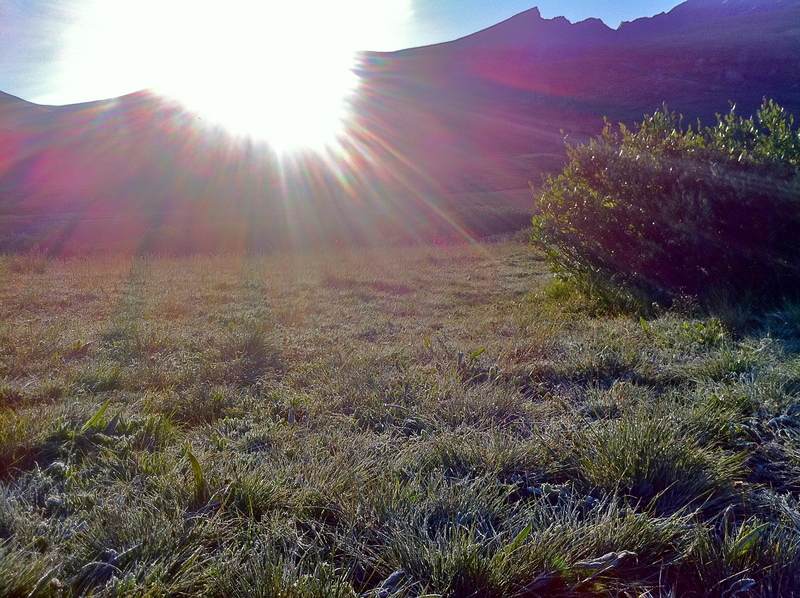 There was still frost on the ground as the sun was barely peeking over the mountain. Our hike got off to a pretty great start when we passed by one of a series of small lakes and there were moose hanging out on the left bank. Unfortunately my iPhone camera couldn’t capture them to share. After we made it through the willows and past the lakes the real hiking began. While the elevation hadn’t bothered me at first I soon found myself out of breath every 50-100 yards. We started the day at Boulder elevation of 5,430, so it’s a pretty significant increase in elevation. Besides finding it harder to breathe I also noticed my heart beating much faster and I surprisingly wasn’t hungry at all. I looked into the effects of altitude and found this interesting: The human body functions best at sea level. The percentage saturation of hemoglobin with oxygen determines the content of oxygen in our blood. 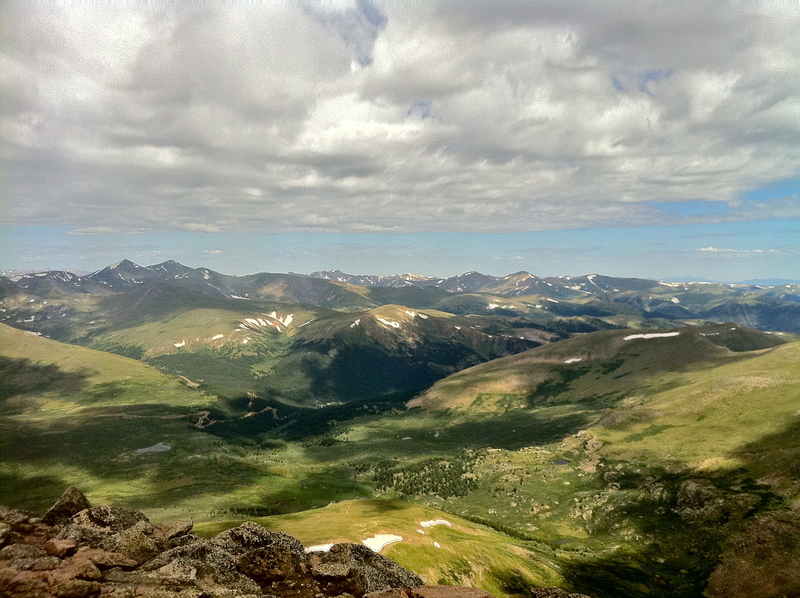 After you reach around 7,000 ft above sea level the saturation of oxyhemoglobin begins to plummet. Where we were it was at about half its sea-level value. The body compensates by hyperventilation, increased heart beat and suppression of the digestive system. It’s good to know I’m not just out of shape. After huffing and puffing our way up for a couple hours, the lake and our car could be seen far below. We started getting into the rockier part of the mountain. 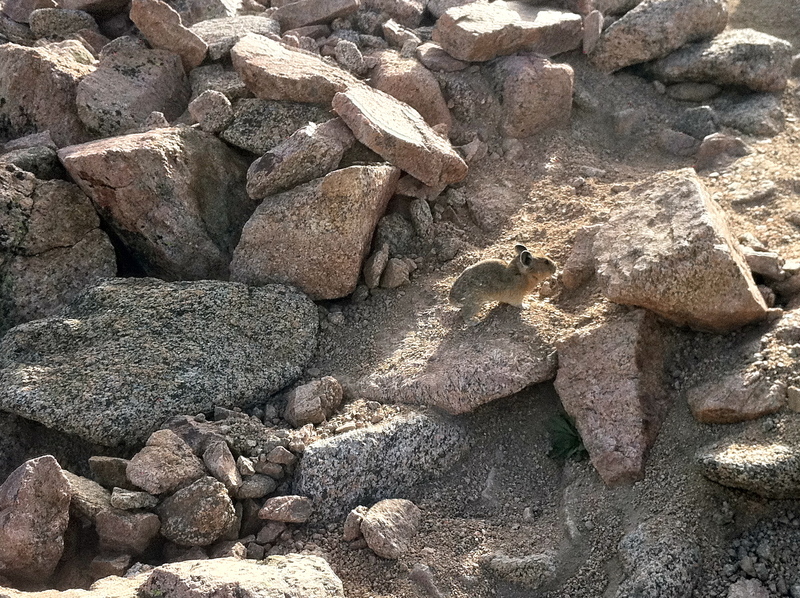 We didn’t see any mountain goats or bighorn sheep but there were a bunch of these little guys living among the rocks to greet us. They were like part chipmunk, part rabbit. At the top it got a little rockier and we had to climb on some of the smaller boulders to get to the top. I wasn’t sure what to expect here but it wasn’t hard at all. I actually preferred it to plodding along uphill. The view we were greeted with at the top was definitely worth all the effort. While we were up there it actually snowed lightly on us a bit and it was probably in the low 30s in terms of temperature. We started at 42 degrees and supposedly the temperature goes down 3 degrees for every 1,000 feet. That would make it about 33-34. We were definitely a little chilly up there, so we stayed only for a little bit. Our hands were too cold to enjoy our snacks and I wasn’t hungry anyway. On the way back down we had fun checking out the snow shelf (that’s my technical term) that was still clinging to the side of the mountain. I didn’t venture very far out on it. That’s Alicia standing down there testing it out. There were a few times when I was a little nervous being that high up, but overall my fear of heights didn’t keep me from enjoying it up there. I remember my friend Malcolm telling me with climbing that you’re too busy doing things to notice and I felt that way hiking up there yesterday. I was focused on one foot in front of the other and which rock to put my feet on more than noticing I was getting higher than anything else around me. On the way back down we could more leisurely appreciate the beauty around us. There were some pretty incredible wildflowers growing I have never seen before. These looked like they were from another planet. And just when we were feeling pretty good about ourselves along comes a guy running up the hill in shorts with no shirt with his dog like it was nothing. Here he was having turned around apparently running back by us on the way down. I can’t see Alicia’s expression but I imagine it was disbelief combined with scorn. How dare he make what we just did look like a morning jog! I suppose at the end of the day everyone must climb mountains at their own pace. I am more of a slow and steady wins the race kind of person. I felt pretty good when we got to the valley and I turned around and could tell myself I hiked to the top of the mountain I was looking at. While I could barely walk last night because my knees were hurting so badly, today I felt pretty good. I think I was ambitious thinking I could do two of these in one week, so Bierstadt will be my summit this week (and potentially this year). I’ll take it! 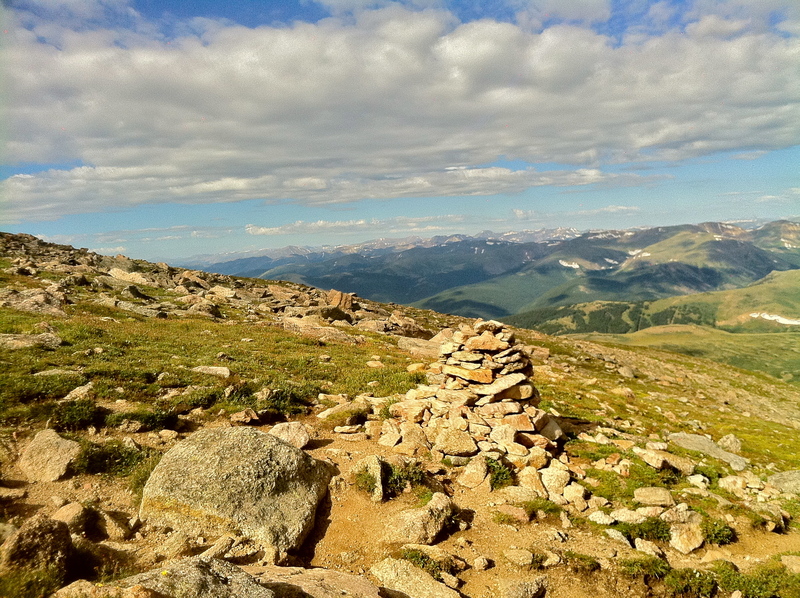 With a Fourteener under my belt I can now officially say I’m a Coloradan. Over the past few weeks of political ridiculousness topped off with the S&P downgrade, one would not look at America and say “What an inspiring country”. I sure haven’t been feeling that way myself, but today I was reminded of just how inspiring this country I live in can still prove to be despite the people leading it. That sentiment may sound familiar: “and crown thy good with brotherhood from sea to shining sea”. Some of our politicians could benefit from visiting and pondering the same perspective I enjoyed today of our country and the potential for greatness it still has if we could just get our act together. 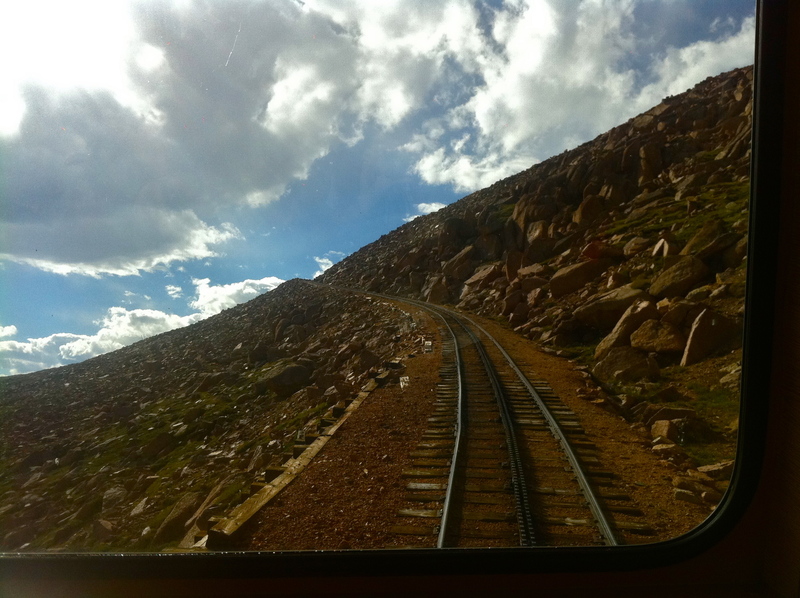 I would gladly pay the $34 roundtrip for all of our Congressmen to fill the train to the top. I’d even throw in a few oxygen tanks to aid dialogue in the thin air. At times the Congressmen might feel like they can’t see where they’re heading, that they might run straight off the edge of the mountain into nothingness. But the tracks built long before will hold them and before they know it, they’ll be staring out at the same view I saw today of a beautiful country with limitless potential for not just greatness but goodness and brotherhood. Some weeks I do lead me to other things I’d like to try. Last week I went on some beautiful hikes in the foothills and in the mountains, admiring the still snow-tipped peaks from afar. While they’re beautiful to look at from afar, you can’t help but wonder what everything must look like from up there. It would truly be seeing Colorado from a different perspective. Mountains have always infatuated me from afar. In the Summer of 2000, I spent 2 1/2 months in India and Nepal traveling. I didn’t venture out on any serious mountain treks, but I did take a flight from Kathmandu to see Mt. Everest. It was monsoon season that time of year, so it was the only way to see the infamous peak other than climbing it. I didn’t have any illusions I would ever be be climbing it much less making it back that way, so I wanted to at least get to see it with my own two eyes. 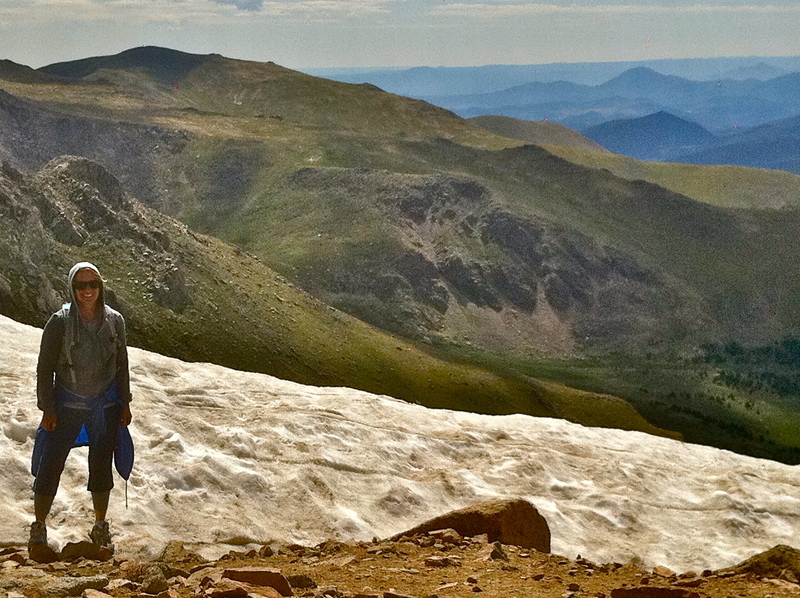 While our tallest peaks are half the size, known as “Fourteeners”, they still provide a dramatic backdrop to the plains and a formidable challenge. 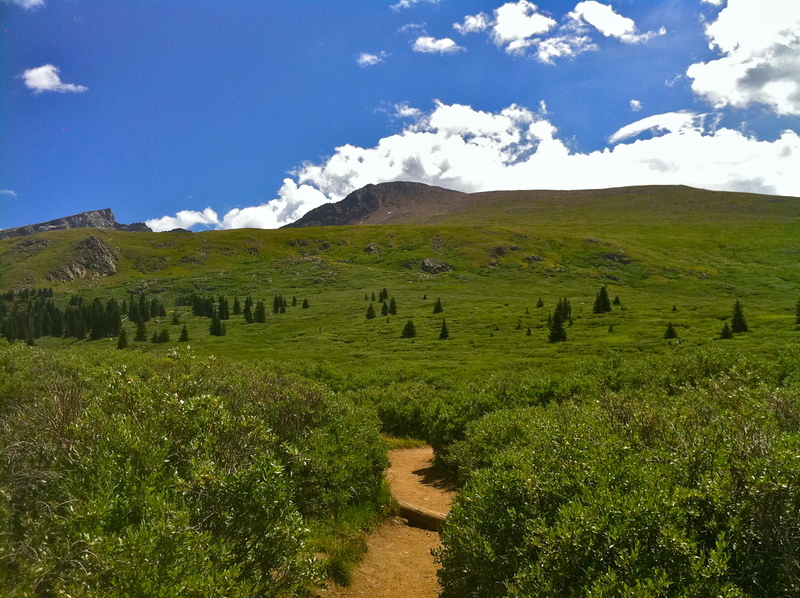 There are a total of 53 peaks above 14,000 feet in Colorado representing a wide range of difficulty. 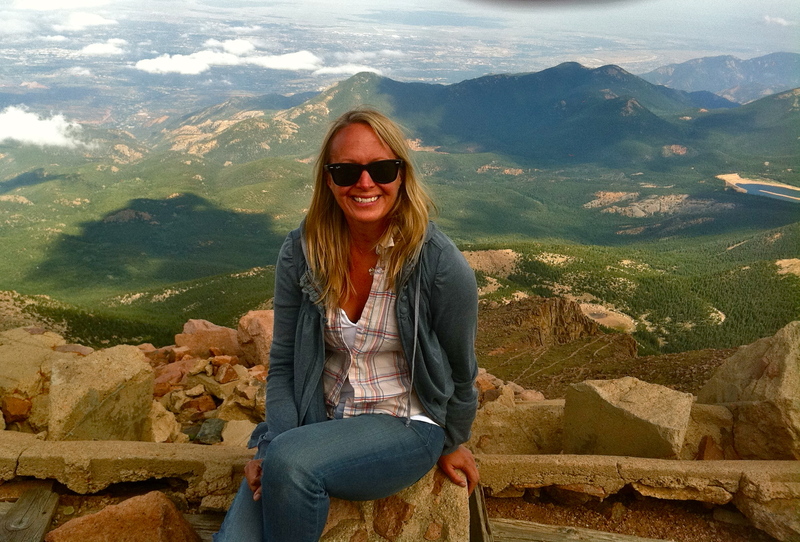 The youngest person to climb all of them was Megan Emmons, in 1997 at age 7! My 6-year old nephew loves to declare that girls do boring stuff, so I’ll have to be sure to share this with him. 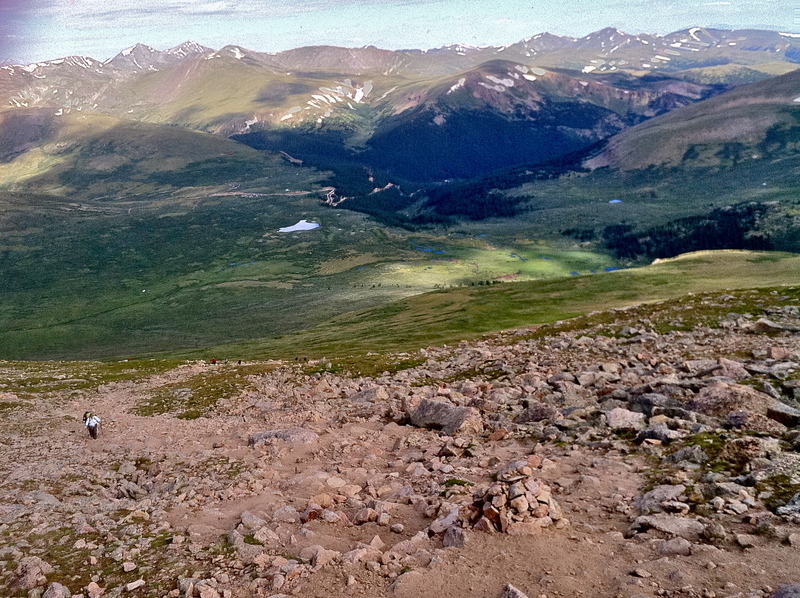 I don’t plan on climbing all of the Fourteeners this week, but I’m hoping to try a couple of the easiest ones. Mt. 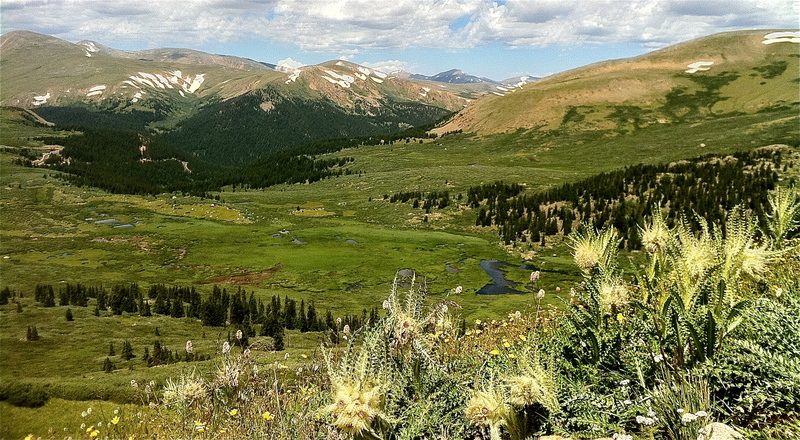 Bierstadt is only an hour away from Boulder and considered one of the best to try first. I’m also hoping to try Mt. 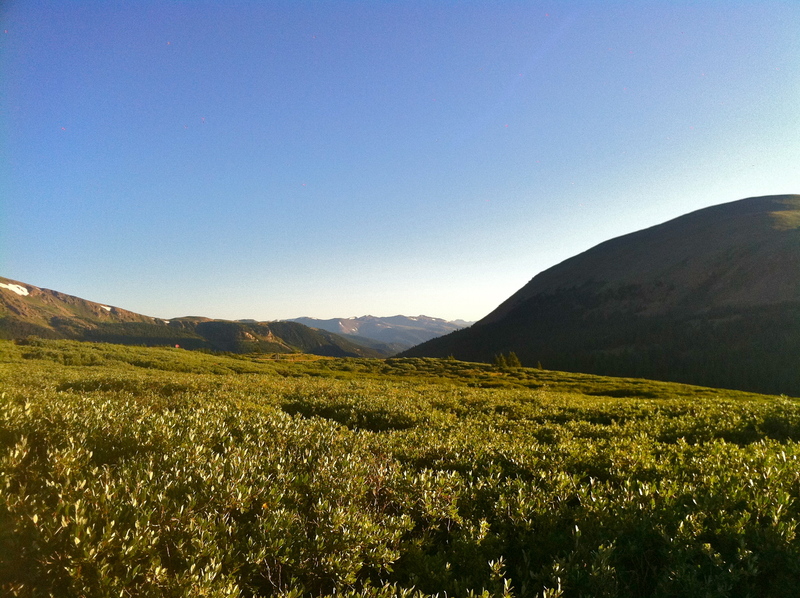 Quandary with friends this coming weekend. 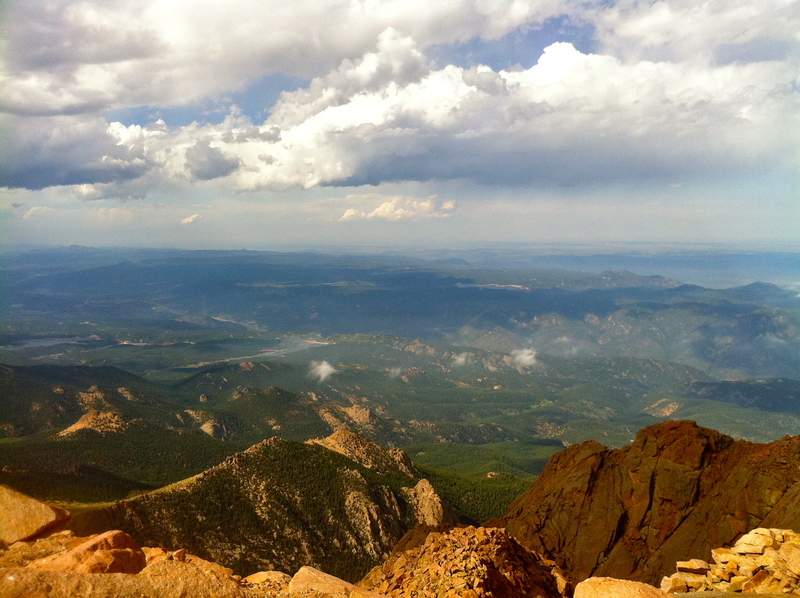 To start off, I’m planning a visit to the most famous of the Colorado peaks, Pikes Peak, (by car) to take in the view. It’ll give me an idea of what I’m up against in terms of the height. 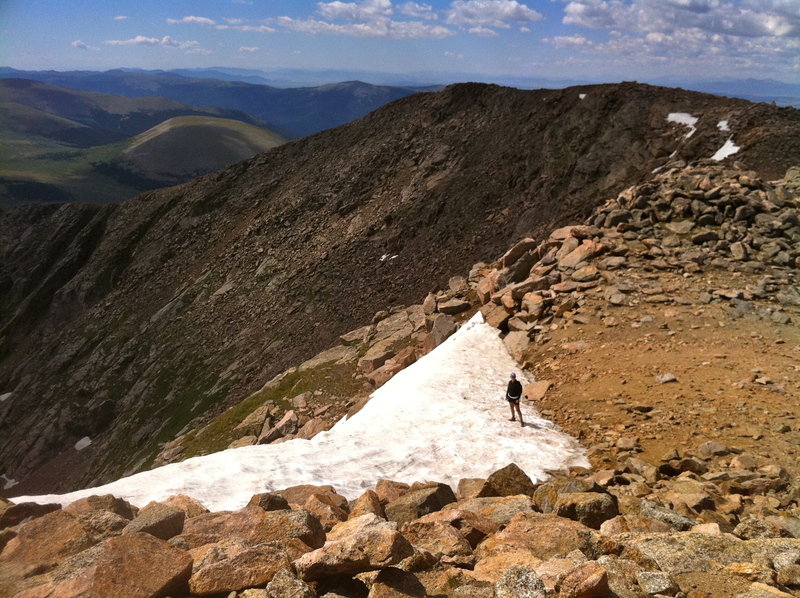 You are currently browsing the 32 fourteener category at 52 To Do.